You can now buy the world's favourite almond milk at your local supermarket! 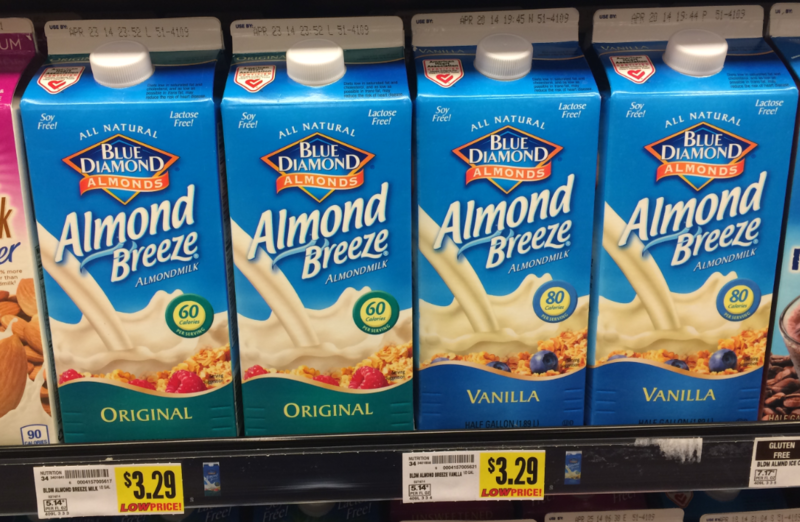 Do you remember my article last month about Blue Almond Breeze, the American brand of almond milk? Good news, nut milk lovers: Almond Breeze has come to South Africa! Their launch took place last week. Almond Breeze is a low-calorie, lactose-free dairy alternative. There will be two options available on our local shelves: Unsweetened and Original. Nut milks are so popular right now – and for good reason! They’re healthy and so delicious. I’m obsessed with them. They’re tasty in everything from coffee to cereal. At the Almond Breeze launch, there were a number of dishes prepared using the milk, from mueslis to cappuccinos. Almond Breeze is a very well-known brand over in the US and the UK. When I was last in the states, I tried it out for myself. And I must say, it is pretty darn good! I much prefer the unsweetened version though; it has a nutty, slightly sweet taste. I don’t like the idea of anything “sweetened”. I personally find Almond Breeze almond milk a lot tastier and creamier than any of our locally-made almond milks. Firstly, I love how Almond Breeze is conveniently packaged in nifty little cartons. It sure beats having to store big, bulky glass or plastic bottles of nut milk in your fridge (I have a small fridge, okay?). This almond milk will be readily available at all supermarkets at the recommend price of R34.95 for 1 litre. Yup, that’s quite a lot less than fancy juice bars charge us for almond milk! In addition to all this, Almond Breeze Barista blend will be available in coffee shops. Look out for it immediately in the Cove group of restaurants, including La Belle in Camps Bay (which was the venue for the launch). While I haven’t tried the barista blend out for myself yet, I’m sure it’s worth trying. Almond Breeze SA manufacturers, Good Hope Beverages, say the idea is that it’ll be rolled out in coffee shops across the country. This cashew pesto pasta dish made with spaghetti squash is sure to please the whole family! This vegetarian pizza is the ultimate dairy- and gluten-free indulgence!